This venue was the perfect location for a fun, laid back wedding! Rustic and chic. Elegant and formal. Bohemian and wild. Whatever your style, there are endless options for you to choose the perfect wedding venue. Most couples have an idea of what they would like the venue to look like, but there’s also some other things you should have in mind before you book that dream venue. We’ve listed out five different categories to give you some ideas on how to close the perfect wedding venue! This venue (in Costa Rica!!!) had nothing included so we had to source vendors for tables, chairs, linens, catering, etc. It turned out fantastic though! First thing's first: will your venue be for just your reception, or are you planning on hosting a cocktail hour and/or your ceremony on-site? Some venues have pricing for an all-inclusive package, including your ceremony, cocktail hour and reception. Others allow you to add items a la carte depending on your plans. It doesn’t hurt to ask a venue if they will lower the price if you aren’t planning to host your ceremony or cocktail hour onsite. Venues tend to be more flexible with non-Saturday dates, so keep that in mind when searching. The more flexible you are, the more flexible venues can be on their pricing. Make sure you get everything in writing from all of your vendors, including the venue! This couple loved candles, check out the fireplace mantle! This venue was the perfect size for their guest count and was able to accommodate their table set up with both round and farmhouse tables. There is no point falling in love with a venue if they won’t be able to accommodate all of your guests comfortably. Always ask about maximum occupancy and if maximum occupancy still allows for guests to be comfortable. Some venues have stipulations on the set up depending on the size of the guest list. For example, if your guest count is at the maximum, you may not be able to have a buffet or photo booth/lounge in the reception area because they will not have enough room for tables. On your venue tour, ask to see a floor plan mock-up if you’re concerned about space. This couple really wanted a private island wedding…I got them pretty close! Whether your guests are from near or far, making sure the venue is easily accessible is important. When you are trying to choose the perfect wedding venue, take a note of whether or not it’s confusing to find. Ask about whether the reception venue provides parking attendants or venue signs to help guide people to the parking area. If you have older guests or guests who will have a harder time with mobility, make sure you ask venues what their protocol is for these situations, especially outdoor venues. Some will have shuttles or golf carts to assist guests. Make sure you can bring in any vendors you might have your heart set on before booking a venue. Some venues have restrictions, some even have restricted lists of wedding planners you must choose from (we’re honored to be on most of those local lists!). Unless you’ve worked in the wedding industry or helped to plan another wedding, you may not know that there are two types of venues: those that are have exclusive venue lists and those that are open to all. 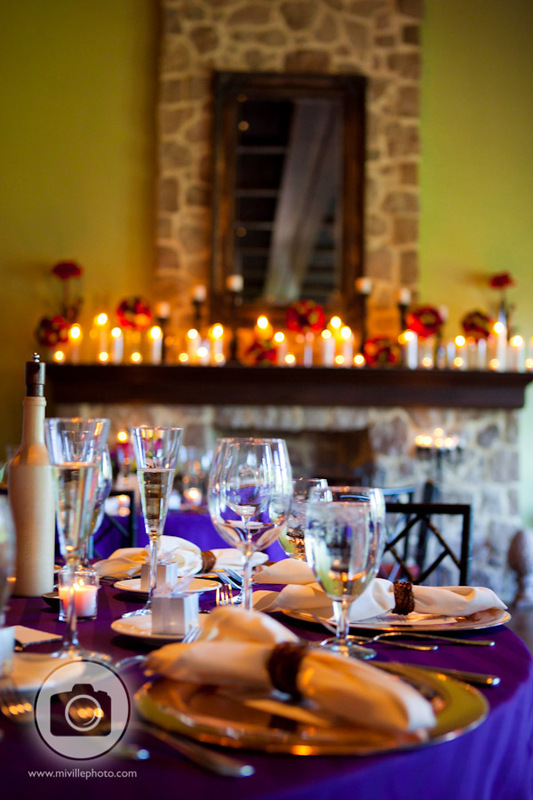 Some venues require you use certain caterers, djs, or planners while others are more flexible. If you’ve already fallen in love with another vendor and know you will be using them, make sure your venue is okay before you choose your perfect wedding venue. There are so many things to think about when it comes to planning a wedding. It's not an easy task to choose the perfect wedding venue. While our Stylish O Team offers day-of planning, we also can help you take your event from start to finish, walking you through all of the steps. If you’re feeling overwhelmed at all of the things you have to think about to make the wedding day go perfectly, give us a call. Our Stylish O Team can help you!